Say goodbye to all of your dull design moments. 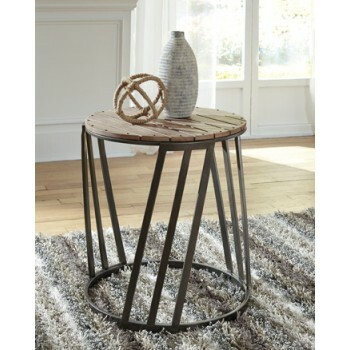 This end table is here to spiff things up with rustic industrial appeal. Planked top with textured whitewashed finished boasts an all-around riveted edge. Aged steel-tone metal base mixes it up with fashion-forward diagonal legs.